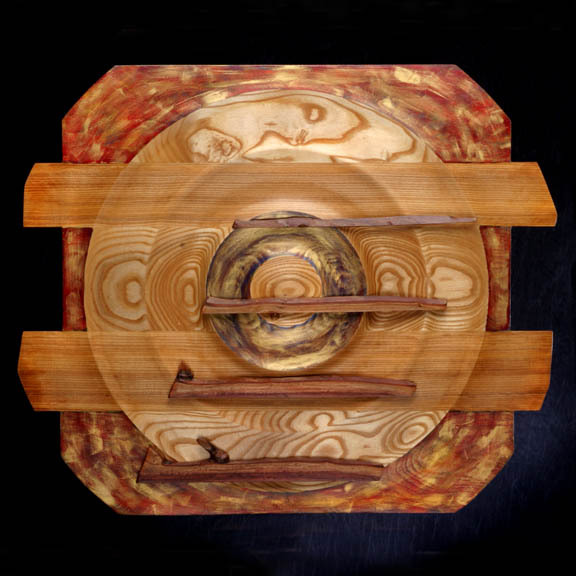 ﻿Joe specializes in abstract wood sculptures that emphasize the natural flow of wood. He incorporates smooth detail without obstructing the wood's innate properties, resulting in pieces that are truly unique and bewildering. Joe has displayed many different sculptures including wall hanging depictions and standing carvings each with their own personality and story. Joe is considered a master woodworker and his art is not only proof of his expertise, but his expressive creativity. "Spontaneous creation. Intention-less flow. Subconscious meandering. Like the artwork itself, the language to describe it seems to come to me in bits and pieces. Consciously, I pay attention to technique and craftsmanship although the sculpture that results is something that I, like any other viewer, am seeing for the first time. I surround myself with pieces of wood, cloth, rock, tubes of paint and life, then I let my need for organization start finding places for these parts. By addition and subtraction, work is carried on until there is nothing left to do. This sometimes happens quickly but with some works has taken years as if I need to acquire the specific knowledge or experience to complete the next step. The process resembles seeds sprouting. Some have been long dormant, some are freshly planted, all are waiting for the right ingredients to come together so growth can begin. Whether slow or quick, the growth happens as a collaboration between spiritual, emotional and physical environments."